high quality auto parts at low prices. Proudly providing high quality auto parts at affordable rates to Davenport, IA and the Quad Cities. Our inventory is updated daily and contains parts for all make and model late model vehicles. Find the parts you need quickly and easily with our convenient online search tools. Simply click "Find My Parts" below to search for the auto parts you need. We understand how important it is to get the right parts the first time around. 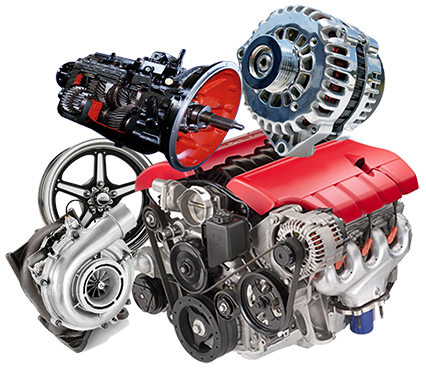 Jeff Smid Auto strives to provide all of our customers with only the highest quality auto parts around. In the unlikely event your part fails or doesn't perform to your standards, we offer standard 90-Day warranties to keep you covered. We also offer extended and labor warranties. And if you need it, most parts are available to come with a lifetime warranty. Jeff Smid Auto, Inc. purchases running and non-running vehicles of all makes and models! If you have a vehicle you'd like us to take off your hands and pay you top dollar doing so, let us know. To get started, simply click "Sell My Vehicle" below and fill out our form. We'll get back to you with a free quote for your vehicle. We are located in beautiful Davenport, IA and are open five days a week, Monday - Friday 6:00am - 6:00pm CST/CDT. We are here to help find the high quality auto parts you need at a rate you can afford. No time to stop in? No problem! We ship most auto parts directly to our customers using a variety of shipping methods. Simply let us know if you need your part shipped to you and we'll make the appropriate arrangements. © 2019 Jeff Smid Auto, Inc.